Armonite - Freaks / Clouds collide. Background - Instrumental violin rockers Armonite hail from Pavia, Italy, a place entrenched in musical history. Like their classical predecessors, they employ no voice, lyrics or guitars in their compositions, yet the band actively pushes their craft forward with a blend of electronic, world, and progressive rock. 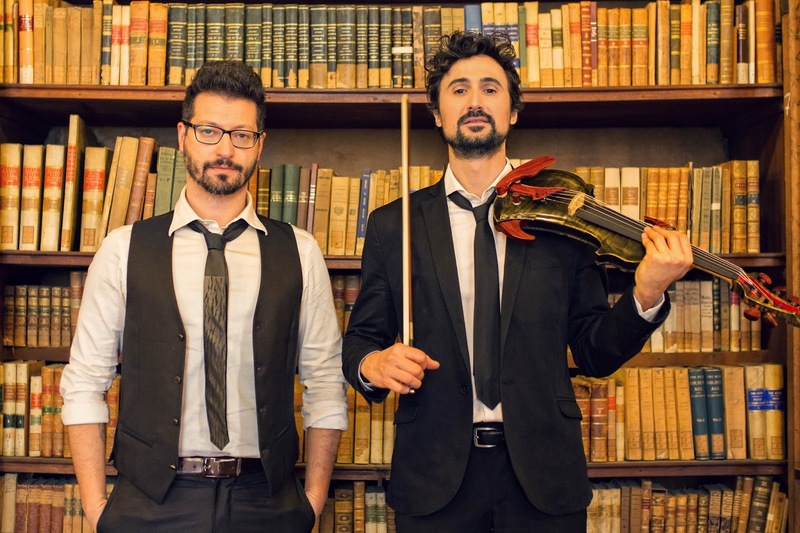 The duo officially formed the band in 2015, inspired by their shared love of the great literary and cinematic works of the modern age. Their debut LP, The Sun is New Each Day, set them up for a successful tour through the UK, Italy, and Switzerland. When the tour dust settled, the band focused their energy on building their YouTube channel, publishing renditions of modern themes from Game of Thrones, Pirates of the Caribbean, Suspiria, and Metal Gear Solid. These viral videos garnered the attention of LA-based indie label Cleopatra Records who signed on to release Armonite’s newest album And the Stars Above. “Our goal is to capture and raise the imagination” Paolo asserts. “Everyday life can be so saturated with cynicism, sometimes we need a ladder to the stars - a reminder that we can live on the vertical dimension of life, high above the surface level.” WEBSITE. Two tracks are featured 'Freaks' and 'Clouds Collide' which collectively help give a fuller feel for Armonite. 'Freaks' opens gently with piano, soon to be joined by violin and other musical layers as it builds spectacularly. The vocals on 'Clouds Collide' takes this track in a very different directions as does the sprightly musical arrangement. 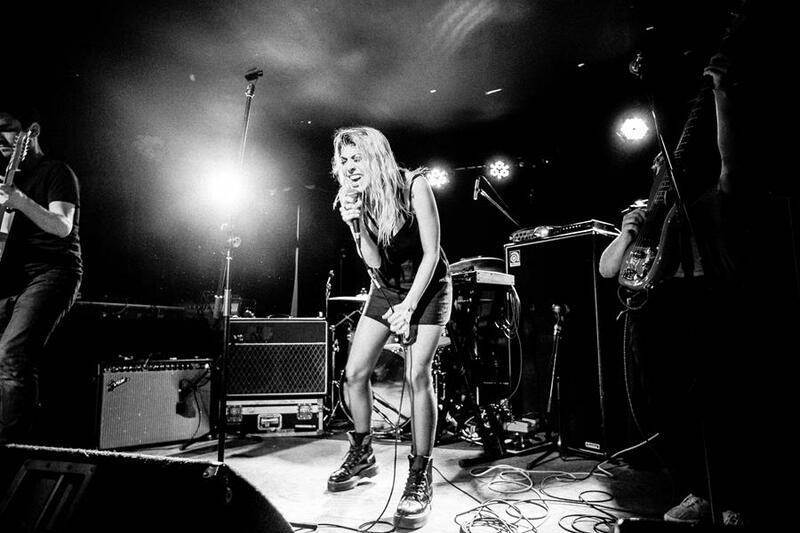 Background - NYC's Charly Bliss have released a song titled "Heaven," a staple of their live show. Of the song, Eva Hendricks says: "'Heaven' is one of the first songs I wrote after Guppy, and to me it sounds like the ending of one phase of our sound before we knew what was going to come next. We played it live every night of our album release tour and it was really incredible to see the way people reacted to and connected with the song. It's our first love song, and I basically had to force myself to write the lyrics as a songwriting challenge to myself. I think I was always worried that songwriting was something that only existed to me as a coping mechanism, and that once I was happy I wouldn't have anything interesting to say or write about. I'm proud of the sweetness and simplicity of this song, and we're super happy to release it finally!" Charly Bliss will be touring the US with Death Cab For Cutie later this month and throughout October. WEBSITE. 'Heaven' is a powerful rocker where the band are gutsy and make an intriguing alternative to the melodic and seductive vocals. That said, Eva Hendricks is more than able to ride out the musical onslaught, on this addictive rock and roll song. Background - Dan Franklin is a Los Angeles based artist/actor/producer/songwriter/composer. 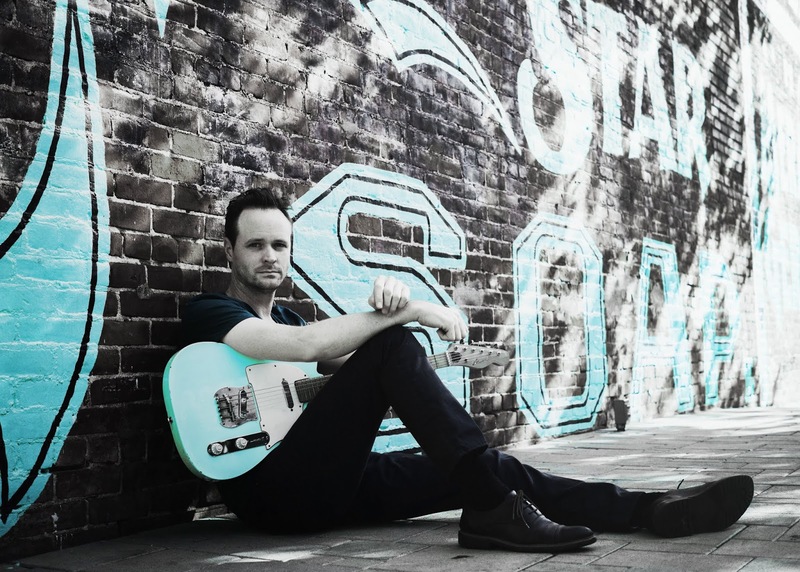 As a multi-instrumental performer, Dan Franklin spans every genre, playing with everyone from Slashto LeAnn Rimes on every stage from Disneyland to the Grand 'Ole Opry. He has produced albums, singles and videos for many artists including Sasha Pieterse (Pretty Little Liars) which has millions of views on YouTube. In addition to playing well with others, Dan has released several albums and singles as a solo artist. His album 'The Best Ride of Your Life' was funded by a very successful Kickstarter campaign that enabled him to record at Abbey Road Studios in the UK, and enlist some of the finest musicians Los Angeles has to offer, including Vinnie Colaiuta, Wayne Bergeron, and Andy Martin. He recently released his 3rd studio album, Pieces, featuring the single "Heartbreaker". Dan Franklin has had his scores featured on Fox, MTV, VH1, CBS, NBC, Comedy Central, as well as the big screen. His acting life has found him roles in short films, commercials, as well as the upcoming feature film 'The Haunted Man'. WEBSITE. 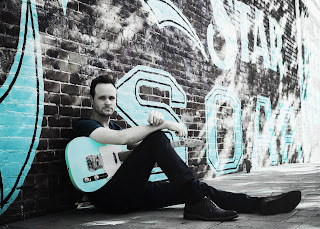 Opening with some very slick bluesy guitar riffs 'Heartbreaker' soon adds in some melodic hooks as Dan Franklin's vocals start to make their unique mark. The video adds to the story line, as the rock and roll digs in deep. 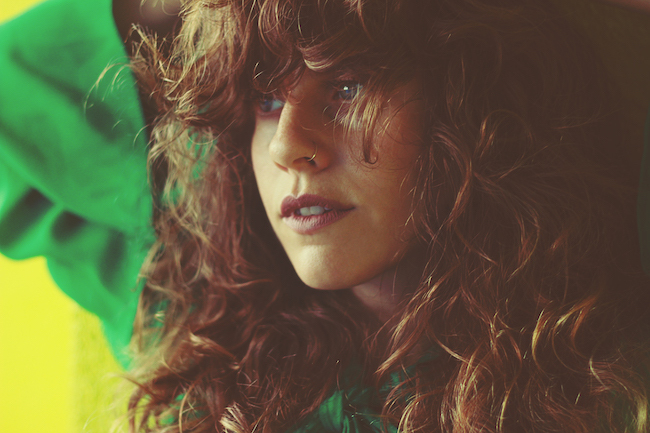 Doe Paoro - Cage of Habits. Background - Doe Paoro has released a sultry new song and video 'Cage Of Habits' the latest taste from her forthcoming album ‘Soft Power’, out 19th October on ANTI- Records. Co-written by Doe (nee Sonia Kreitzer) and Wynne Bennett of Twin Shadow, 'Cage of Habits' is her most confident plunge into soul-inspired pop to date, packed with brassy instrumentation, infectious rhythms and ecstatic gospel harmonies. To accompany the track, Doe Paoro has released a gritty video directed by Austin Roa (Jade Bird, Hippo Campus) and shot in Dallas, TX. "This song feels so raw to me and I wanted to embrace that by not relying on anything outside of myself to convey the gravity of it, which is why it’s so minimal,” says Doe. “The alone-ness of it is intended to reflect the solo nature of overcoming our own loops." WEBSITE. Doe Paoro's vocals are gorgeously distinct as they simply demand you stop and listen. 'Cage of Habits' mixes soul, blues and emotive feelings together the resulting sound becoming very contagious, with the video conveying all of this and more. Stonefield - In The Eve. Background - Australian psych band Stonefield just kicked off their North American tour, which includes co-headlining dates with Frankie and the Witch Fingers, a 7" release show in NYC, and a performance at Desert Daze (see below for all upcoming dates.) They're touring in support of their third LP, Far From Earth, released earlier this year on King Gizzard's Flightless Records. To celebrate, the band has shared a new video for album track "In The Eve," which is just as hypnotizing as the song itself. 10/13 - Moreno Beach, Lake Perris, CA @ Desert Daze. This is our third feature for Stonefield in less than a year with the new music video for 'In The Eve'. Their simmering rock and roll tension is given some melodic reprieve on this song, allowing the vocals and harmonies more space as the psychedelic vibes slowly expand, fabulous! The Venus Fly Trap - Icon / Vitesse. 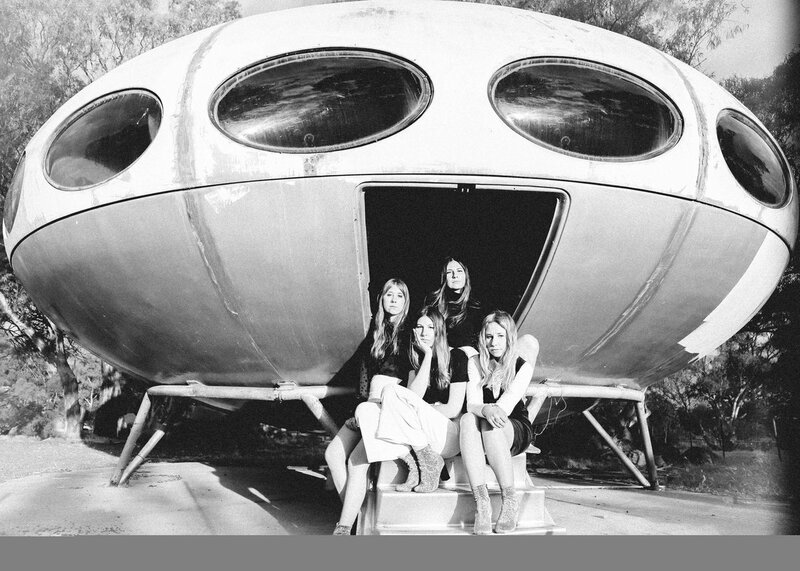 Background - British cult outfit The Venus Fly Trap have announced they will release their new 'Icon' LP via Glass Modern Records. This Bladerunner rock n roll sees post-punk fuse with dark electronica envisioned through rose-tinted shades and dark acidic visions. 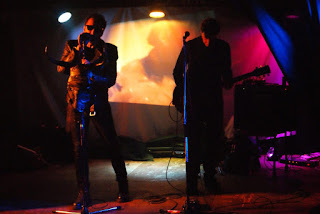 Founded in Northampton by Alex Novak (vocals) and Andrew Denton (guitar, programming) in 1986 after Novak parted company with darkwave post-punk band Attrition, mythology has always been part of The Venus Fly Trap's psyche, alongside space and science fiction. This is music created for imaginary films for your mind. The Venus Fly Trap emerged from the same fold as Bauhaus, with Novak having attended art school with three-quarters of the band and gigging alongside Bauhaus in several previous bands. Bauhaus' Kevin Haskins would later produce the band's 1989 EP 'Rocket USA / Cloud 9 / Opium War' and co-produced the 'Shedding Another Skin' LP (1992) with Pat Fish (The Jazz Butcher). Fish also produced their 'Pandoras Box' album (1991). Produced by Martin Bowes of Attrition fame and also Pigface, the new 'Icon' album follows the 'Nemesis' LP (2008) and 'Metamorphosis', which released on limited red vinyl in 2016. The Venus Fly Trap draws inspiration from many sources, including psychedelia via post punk electronica, reggae via Bauhaus, film noir, The Velvet Underground, Joy Division, The Doors, Sisters of Mercy and Nine Inch Nails. About this new album, Alex Novak says, "I was inspired by ancient mythology how it has been subverted via cinema and TV screen idols / godesses..and the nature of fame via TV and the internet... the fascination of being famous for being famous, drawing on what Warhol said "in the future everyone will be famous for 15 minutes'. WEBSITE. With no disrespect to the other artists featured in this round up, we are finishing on something of a high today with The Venus Fly Trap and the opening and title track 'Icon' and the second piece 'Vitesse' both from next weeks album release. Both songs uniquely include spoken words by Sylvie Denton which adds some additional feel, the band are however pretty much on fire throughout, starting from a post punk central plank and going off in so many directions (psych, electronica, reggae and more). All brand new material, the bands creative juices are all apparent throughout, on this glorious musical journey.